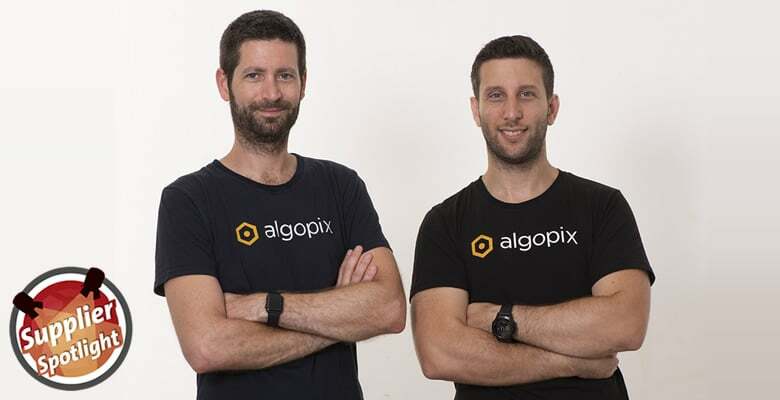 Marketplace product research platform Algopix has been profiled on the Web Retailer blog. As a result, sellers often end up with a lot of inventory that won't budge. This costs them time, money, and resources and, in the worst case scenario, can bring a business to its knees. eBay market research tool ShelfTrend has a new Recent Sales report, showing the sales of listings over 7 days, 30 days and the month to date. The 7 day, 30 day and month to date sales metrics can be summarized by brand, or filtered to show the listings only for a specific brand. Brand summaries show how different brands are performing, the number of listings each brand has in the top 100 and the average price. The Recent Sales report also provides a quick way of seeing competitors, with sales summarized by seller. The summary includes the number of items sold, the value of those sales and the median sale and postage prices. ShelfTrend Co-Founder Lisa Wong said, "Our customers, who are professional business sellers on eBay, have provided us with valuable input in developing and testing our suite of competitive intelligence reports. It has resulted in a robust set of tools that professional sellers are using to identify product opportunities, assess current product performance, and review the competitive landscape." eBay market research tool ShelfTrend has been profiled on the Web Retailer blog. Most eBay sellers are looking for ways to grow their businesses. But in a marketplace where you can trade almost anything, deciding exactly what to sell is a big challenge. Sellers will often start their research by looking at bestseller lists or searching the eBay site. That's OK if you are shopping, but for sellers it can lead them in the wrong direction. To be truly successful, a deeper, more comprehensive understanding of what sells is required. That is what ShelfTrend has set out to deliver. By analyzing live eBay data, ShelfTrend can help sellers find patterns and gaps, and decide how to move into new categories, expand overseas or develop new private label products. With a free basic plan available, sellers don't have anything to lose by trying it out. Software suite for Amazon sellers ManageByStats has a new marketplace research tool called Finder. The new tool can be used to search for and filter products that are best sellers on Amazon. Each major category on Amazon is represented, and users can view products in specific, major categories, or combinations of categories. The list is updated daily and contains data on more than 300,000 bestselling products on Amazon. "Since BSRs (Best Seller Rankings) change many times daily on Amazon, you may see missing BSR numbers or occasionally two products with the same ranking, but other than these small variations the data is extremely accurate. The new Product Finder tool will help you find products in all major categories, and it's available in your ManageByStats now." said CEO Philip Jepsen. "This has been needed and wanted among users," said Jepsen. "Whether new to Amazon or seasoned sellers, any Amazon business owner is looking to expand their catalog. This new tool will be a huge resource for them when researching their next product." Competitor price monitoring tool Competera has added a new dashboard module allowing users to adjust their service-level agreement. Merchants can increase the guaranteed percentage of data delivery or speed up the matching process. The new values will be automatically sent to a Customer Success Manager. Marketplace product research tool Algopix has a new Sales Estimator feature which provides the monthly sales volume for any product on Amazon or eBay. Sales Estimator estimates the total sales value and number of units sold, broken down by country. By integrating product sales signals from numerous data providers, including real-time transactional data, demand indicators, and more, Algopix can cross-reference open-source information with proprietary insights to estimate product sales. Designed with sellers, manufacturers and brands in mind, Sales Estimator is a gateway to invaluable, actionable intelligence that will help users assess new business opportunities and understand the market for any given product. With close to 60% of online buyers purchasing products from overseas retailers, it has become important for ecommerce businesses to offer products on more than one market. Algopix helps sellers understand the demand and competition for specific products on foreign markets, and calculate the potential sales volume. Technology company X4 software have released a new online arbitrage deal-finder called SourceMogul. SourceMogul lets Amazon marketplace sellers discover pricing differences between the ecommerce giant and 100+ other retailers, like Walmart in the USA and Tesco in the UK. Sellers can then source products at lower prices and re-sell on Amazon to exploit the price differential. Users can either search specific Amazon categories, or entire retailers. The platform includes trading data to help filter products, like embedded Keepa sales rank and price history charts, competitor info and a breakdown of all fees. At launch, SourceMogul searches 50 UK and 50 US online stores, depending on which account users register for. One of the most innovative features is brand restrictions checking. This will advise users if any products are restricted for their personal Amazon account. This is a common pain point for arbitrage traders – they find a seemingly perfect opportunity then discover they're not allowed to sell it. SourceMogul checks restrictions with Amazon at the click of a button. SourceMogul founder, Ed Brooks, said: "We want to make sure SourceMogul really delivers exactly what Amazon sellers want. We just want feedback to fine tune it from the customer perspective. It's not going to be in beta for terribly long. All beta applicants get a 7 day no-obligation free trial anyway." While in beta, SourceMogul is offering a lifetime discount to the first 50 UK customers and first 50 US customers that subscribe. Amazon analytics tool ManageByStats has added support to its Keywords Tool for Amazon in Australia, India, Brazil, China and Japan. Philip Jepsen, CEO of ManageByStats, said, "The Keywords tool lets users evaluate keyword performance for their ASINs and those of their competitors. If you're selling in these markets, or you have competitors you want to monitor, we now let you do so." Amazon analytics tool ManageByStats has a new keyword rank checking tool that runs completely in the cloud. The ManageByStats Keyword tool checks the ranking for selected keywords for specified products. It used to consist of a downloaded software application along with a reporting UI on the ManageByStats website. With the new release everything runs inside ManageByStats. "The software app was our first solution for this", said ManageByStats CEO, Philip Jepsen. "But it became a little cumbersome to run separately. Users either had to schedule or oversee the running of it to check keywords, and so we decided to automate it by bringing it all within the main program." With the new tool users create projects, add ASINs (products) and list all keywords for each product directly in the new Keywords section of ManageByStats. Graphs and evaluation tools are also in this area, so the entire process of managing and evaluating keywords can be overseen. ManageByStats automatically pulls and updates Keyword data, including newly added keywords. The new tool is available now. Marketplace management solution SellerExpress has built in new features using data from eBay research tool Terapeak. SellerExpress has added Terapeak's Retail Demand, Title Builder and Check Results widgets for all customers. Retail Demand shows sales information for a product over the last 30 days, Title Builder helps sellers create optimized listing titles and Check Results shows eBay listings matching a search term. A paid subscription to Terapeak makes further widgets available. eBay has updated their listing analytics tool, which is developed by third-party marketplace research company Terapeak. The eBay Listing Analytics app, found within eBay's Applications tab, can now be used to visually track traffic and sales trends with a graphical overview of total impressions, clicks, sales and daily selling price for all eBay marketplaces, reports EcommerceBytes. Research tool get4it has released an integrated app for Bigcommerce merchants. "get4it is proud to expand our partnership with Bigcommerce beyond the offerings program to include a Single Click App that will offer competitive pricing intelligence to online retailers of all sizes," said James DeBoe CEO at get4it. "With the launch of this app, get4it is the first Pricing Intelligence / Repricing company to have a Single Click App in the Bigcommerce marketplace. We are dedicated to offer every one of the 60,000+ Bigcommerce customers a competitive advantage through pricing intelligence." The new app is available in the Bigcommerce App Store. Ecommerce research tool provider get4it are now offering a free competitive analysis report for online sellers. The get4it Competitive Analysis Tool reports on the overall health of an online marketplace store and its inventory. "After a simple sign up process, retailers will receive a report that shows an overview of their Store Health Statistics, a Merchant Health Score, and their Competitive Insights", says James DeBoe, CEO of get4it. "Best of all, this tool is completely free, with no credit card required." get4it imports the entire inventory from a seller's online store, and computes the optimal competitive selling price taking into account feedback and other factors. It currently supports eBay.com, eBay Motors and Amazon.com, and they plan to add new functionality and further marketplaces in the first half of 2015. Amazon marketplace research tools company ScanPower is working on a new reporting tool for Amazon sellers. Sales, profit, fees, and expenses. Performance by date range, category, source, brand, shipment, or of individual items. Consumable product expiration tracking and notification. Inventory aging, sell through rate, cost of goods sold, product type/brand/source. Reports will also be specifically designed for tax reporting, including a setup wizard and tracking of expenses such as supplies, equipment, mileage, and hourly staff. eBay marketplace research tool Terapeak has launched a new lower-priced "personal" version, and users will also soon be able to try out a new streamlined user interface. The new Terapeak Personal product, designed for smaller sellers, has a smaller set of features than the standard Terapeak (now renamed Professional) and includes a product finder, sales forecasting, listing optimizer and a simple worksheet-style approach to use. Terapeak offers a 50% discount off both the Personal and Professional plans when paying annually in advance. More information and reviews of Terapeak in the Web Retailer directory. Terapeak will also be releasing a new look and feel for their products. The update also includes a dashboard summary of selling activities, more aligned style of eBay and Amazon research areas, highlighted metrics in search results, and more readable and consistent charts and tables. eBay marketplace research tool Terapeak has introduced a new feature called "Listing Scoring and Optimization". 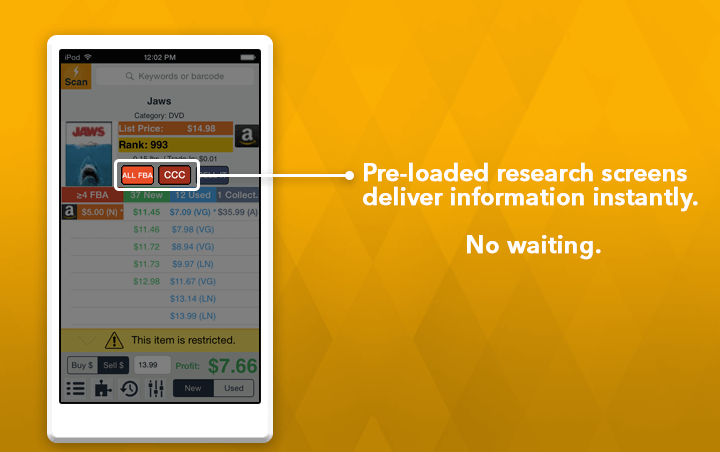 Premium Terapeak subscribers can also receive automatic recommendations and update live listings directly from MySales. The six areas uses to analyze listings are titles, prices, categories, seller reputation, images and product identifiers. Terapeak Co-founder and CMO Andrew Sukow said, "We've seen that merchants who use analytics to optimize their listings increase sales significantly, so we’re making that process more simple and accessible to a much wider audience. The idea is to give online sellers yet another competitive advantage." 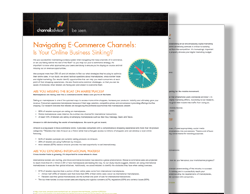 Ecommerce software provider ChannelAdvisor has published the results of an independent study into multichannel ecommerce. 84 percent of retailers sell on Amazon, and 63 percent sell on eBay. The retailers said the most challenging aspect of marketplace selling is competitive pricing. ChannelAdvisor CEO Scot Wingo said "It’s critical that retailers evaluate what the rest of the industry is doing so they can stay on top of innovations. Our survey results show that retailers are taking a multichannel approach to increase their exposure in every stage of the consumer's path to purchase." More statistics are provided in the Navigating E-Commerce Channels PDF (contact details required). eBay market research tool Terapeak has reduced its pricing for researching multiple international eBay sites. Terapeak now has a single package priced at $29.95 per month, which covers all international eBay sites plus Amazon research and the MySales research tool. Terapeak previously offered a single-site research package at $29.95 per month and an "all-sites" package at $49.95 per month. Annual pricing is $179.95 per year, which is equivalent to only $14.99 per month – a 50% discount. The price reduction is likely to benefit international sellers, who would have previously needed to pay $50 per month to research every eBay site where they list their products. Terapeak has data on eBay in the US, UK, Canada, Australia, France, Germany, and Italy, eBay Motors, and Amazon.com. eBay and Amazon research solution Terapeak has won an SIIA CODiE Award for Best Business Intelligence/Analytics Solution. Terapeak has data on over 4.6 billion transactions per year, amounting to over $70 billion in sales, and is used by over 1.3 million online sellers. Terapeak won an SIIA CODiE award in 2013, for the Best Big Data Solution. The Software & Information Industry Association (SIIA) is a trade association for the software and digital content industries, and has run the annual CODiE Awards since 1986.
eBay market research tool Terapeak has had a major update, including new features called Bulk Research, Saved Searches and Multi-User Account Management. Bulk Research allows Terapeak users to search using multiple keywords, and see the results together. Each keyword or phrase is shown in a table with average price, average shipping costs, number of listings and sell-through rate. Searches can be saved for later use. Saved Searches offers new, redesigned access to previously run searches. After searching, users can click the save button to add the search to Saved Searches, and choose if they want to receive weekly email updates. Finally, a new feature for managing multiple user accounts allows companies to set up multi-user subscriptions and track employees' access. eBay and Amazon marketplace research company Terapeak are hosting a day of live, in-person training for sellers this Spring in Chicago, Boston and San Francisco. Terapeak live trainer Matt Brossard said "I often hear feedback from Terapeak users expressing interest in training content. In many cases, users feel like they're only using a fraction of what Terapeak has to offer. Our goal in the live workshops is to give users the ability to put Terapeak to work in the most critical phases of their online selling businesses, in ways that they may or may not already be familiar with." The training is priced at $199, or half that price at $99 for those who register 30 days or more before the start date. More information and registration. eBay and Amazon research tool Get4It has extended its marketplace data to cover the last six months, and added month-over-month comparisons. The monthly comparison report helps sellers see trends in pricing and sell-through rates. Both monthly and aggregate statistics are displayed in a single search. Features planned for the future include Inventory Research for sellers to analyze their own stock, and Competitor Watch to monitor competitors. eBay and Amazon marketplace research tool Terapeak has launched a new free tool called "What's It Worth". The tool shows the average price and number of items sold on eBay in the last 7 days, and can be filtered by category. More sophisticated research requires a Terapeak subscription or seven-day free trial. Marketplace research company Terapeak has launched a new tool for analysing sales on Amazon.com. Terapeak for Amazon.com features product, offer and sales rank searches in over 35 Amazon categories; average, minimum and maximum pricing data; competitor research and analysis, and the ability to view historical Amazon transactions. 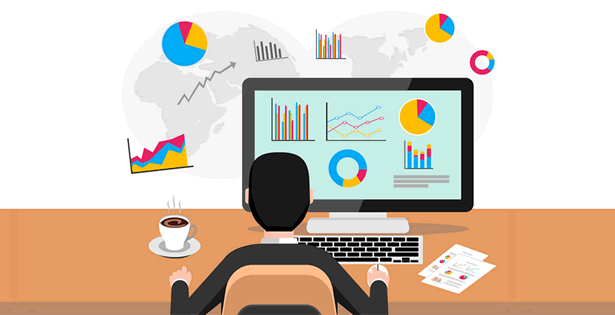 Sellers can also analyze and measure product and sales performance across multiple channels. "Terapeak has been renowned for its ability to provide marketplace visibility for eBay merchants, but our customers were asking us to deliver analytics for Amazon.com as well," said Kevin North, President & CEO of Terapeak. "Now, not only have we delivered it, but we have also integrated their own sales data into the application. By bringing all this knowledge together in one place, our customers will have even greater insights into the E-commerce landscape, and a superior understanding of their own relative position." Terapeak for Amazon has been scheduled for addition to the directory. eBay marketplace research tool Terapeak has won the 2013 CODiE Award for Best Big Data Solution. "We are honored that Terapeak was chosen as the best Big Data solution," said Kevin North, President & CEO of Terapeak. "This space is challenging to master, and although we have so many more exciting developments planned for our customers, being recognized for our efforts to date validates our vision." Terapeak currently supports the eBay and Yahoo! Japan marketplaces and offers sales performance visibility on Amazon.com, eBay and Magento through its MySales product. Two new profiles have been added to the directory today. Smart Gallery is a tool that features further items at the bottom of eBay listings to allow users the opportunity to cross sell their products. Profit Bandit is a smartphone app that allows Amazon sellers to scan the barcodes of products and estimate profit based upon cost, shipping, Amazon fees and other factors. The makers of eBay number of watchers widget WatchCount.com have launched a new tool which shows the most used eBay search terms. The tool, available at www.watchcount.com/searches.php, shows the most popular searches within a particular category, or containing a specific keyword. WatchCount developed the new service as a replacement for the recently retired eBay Pulse research tool. eBay marketplace research tool Terapeak now has a version for Android phones and tablets. The new app is available at Google's Play Store. Bothy Amazon UK and Terapeak are planning online seminars this month. Amazon UK is running sessions on the Europe Marketplaces Account (18 July, 4pm UK time) and Business Reports in Seller Central (24 July, 5pm UK time). eBay Market Research company Terapeak is running a session called Five Fast Fixes to Increase Your Profits, focusing on eBay listing and pricing strategies (25 July, 11am PT / 2pm ET). Amazon webinar information is via Tamebay. eBay market analysis company Terapeak has launched a new developer program. The program provides access for developers to build applications that use Terapeak’s eBay data. The API and developer resources are provided via Mashery, an API management service. "We want to become the premier source for analyzing, understanding and predicting e-commerce consumer and product behavior," said Tyler Black, Developer Programs Director at Terapeak. "By launching a dedicated Developer Program, Terapeak can provide insights to a world of talent that is hungry for innovation." The Terapeak Developer Program is available at developer.terapeak.com. Terapeak Introduces a Free Trial - Finally! After several years of operation without an introductory trial, eBay marketplace research tool Terapeak has recently introduced a free trial of its service. The trial lasts seven days and can be used for either the Domestic or International service. Terapeak Domestic allows access to research from one of eight eBay sites, while Terapeak International gives access to data from all seven country sites plus eBay Motors US. eBay market research tool Terapeak has launched a new version of their service, and a new service for researching Yahoo! Japan. Terapeak for eBay 9.0 features a redesigned user interface promising more intuitive research, integrated help and better navigation. A new Item Aspects filter returns more accurate results, while an Item Specifics feature allows more tailored searches. "Terapeak for eBay 9.0 provides our users with a dramatically enhanced tool that focuses on better functionality – to let eBay merchants spend more time selling and less time on research", says Colin How, Terapeak’s President. "This version allows for more specific results through a friendlier interface. These powerful enhancements will undoubtedly help merchants get the edge over their competition." Terapeak has launched a new research tool for Yahoo! Japan, following the announcement of a data licensing agreement in July last year. "Terapeak for Yahoo! JAPAN will provide unparalleled marketplace research and e-commerce data analytics capabilities to e-commerce merchants," said Colin How, President of Terapeak. "With over $200 billion dollars' worth of transaction data Terapeak continues to provide the competitive advantage to merchants worldwide." Yahoo! is the most popular site in Japan (as ranked by Alexa) with over 670,000 sellers. Popular eBay marketplace research service Terapeak is extending annual subscriptions to 15 months until the end of the year. The offer also includes free Hot Research, Value Track and an eBay Specific Report. Offer links: eBay.co.uk data and all-sites data. Marketplace research company Terapeak has announced a data licensing agreement with Yahoo! Japan. Terapeak will add data from Yahoo! Japan's auction and ecommerce platform to its web-based market research tool. "We are very excited about this partnership," commented Colin How, President of Terapeak. "This agreement provides a tremendous opportunity for both Yahoo! JAPAN and Terapeak, as well as the technology industry on Vancouver Island. Yahoo! JAPAN has an exceptional reputation as a leading brand and we are delighted that their merchants will be able to take advantage of the ecommerce market data products that Terapeak has built its reputation on." Yahoo! Japan is one of the most busiest web sites in the country, with an average of 22 million items listed for sale and 238 million unique visitors in March 2011.
eBay market research company Terapeak have reached an agreement with the WorthPoint antiques and collectibles community to provide them with relevant eBay transaction data. Announcing its agreement with Advanced, WorthPoint CEO, Will Seippel, said: "Our agreement with Advanced is a major milestone in our plan to create the number one web resource for anyone wishing to establish the value of an antique or other item for collecting, investing or selling. This will support buyers and sellers to establish the value, or worth, of an item by referencing hard data from actual transactions and will allow them to trade with confidence – on-line or in the auction house." WorthPoint made a similar deal with Terapeak two years ago. The relationship between that deal and the current announcement is unclear. It is also not known what the agreement will mean for WorthPoint's own research service PriceMiner, acquired with the purchase of GoAntiques in October 2008.
eBay market research company Terapeak has for a limited time increased its annual subscription discount to 60% compared to the monthly price. The Advantage annual subscription is currently only $119.88, a 60% discount on the monthly subscription price of $24.95. This is nearly double the normal annual discount of around 33%. International and Motors subscriptions are similarly discounted. eBay research tool Terapeak has added a new Seller Home Page. 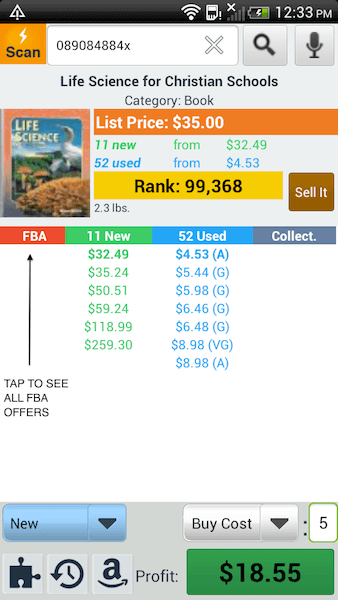 The new screen includes the user's saved searches, sales data, top categories, and top-selling titles. The sales data window can be adjusted to show total sales, total sold listings, total bids, average price and more. eBay is introducing a new sales analysis tool this September in the US, and the following month in the UK. The new eBay Listing Analytics application will provide sellers with insight into how their fixed price and multi-quantity listings are performing. Listing Analytics will help sellers identify their best and worst performing listings, and revise them to maximise sales. eBay's Sales Reports has some similar functions to Listing Analytics but competing third party applications are thin on the ground at the moment. eBay research service Terapeak has extended its database to include sales that closed within the last 365 days, up from 90 days. The four-fold increase in data will enable sellers to see seasonal variations as well as more accurately research items with low sales volumes. eBay market research solution Terapeak has announced a new version for PayPal. The new tool provides insight into a seller's own PayPal transactions, organizing the activity visually and tracking taxes and fees. A free trial is available at analytics.terapeak.com.